Although it may seem that Miami Beach was invented as a vacation playground for the wealthy, over 87,000 residents call it home. The beach is the main draw, of course, for those that choose from among the amazing array of Miami’s luxury oceanfront condo offerings, but the convenience of being in close proximity to world-class dining and shopping is close behind. If you’re interested in purchasing a luxury waterfront condo in Miami, we are happy to help you become better acquainted with some of the more popular properties. Pronounced May-e, Mei is a Mandarin word for beauty. 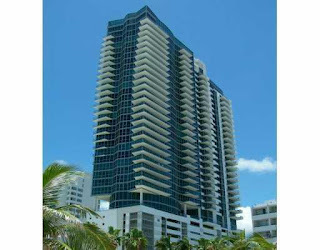 Located on Collins Avenue in the North Miami Beach area, the Asian-accented Mei stands 22 stories tall. The 136 units range in size from 900 to 1,900 square feet with an average list price of $1.3 million. You’ll also find 36 two-story townhomes on site, with 2,000 to 4,000 square feet of living space. Amenities include condo cabanas on the beach, an oversized private spa, a fully-equipped fitness center, valet, concierge and a doorman and front desk, staffed 24 hours a day. Current offerings at Mei are priced between $499,900 and $1,950,000. Built in 2004 in South Beach, Setai is a 40 story tower with unparalleled ocean, bay and city views. The residences range in size from one to four bedrooms, and Setai offers penthouses and two-story townhomes, as well. The penthouses feature infinity-edge swimming pools and all units boast top-of-the-line kitchen appliances and with whirpool tubs and separate, glass-doored showers in the bathrooms. High-end touches such as teak cabinetry is evidenced throughout the units. Additionally, Setai offers residents three swimming pools, a boutique, an on-site 5-star restaurant, a seafood bar, 24-hour concierge, valet, laundry, maid and room service. Setai has no rental or pet restrictions. Current offerings at Setai are priced from $599,000 to $9,950,000. 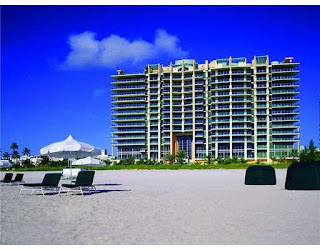 Il Villaggio is another South Beach luxury condominium complex, built in 1999. 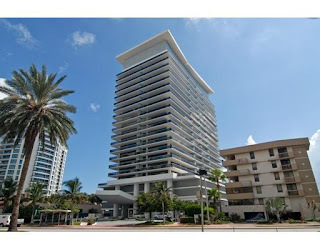 The complex stands 17 stories high, situated atop a charming high-end retail complex. Il Villaggio offers 127 one, two and three bedroom units. Current prices for Il Villaggio condos range from $1 million to $6,950,000. Next week, we’ll take a look at another handful of the best-of-the-best in Miami oceanfront luxury condo buildings. Most of the people want to live a nice house. I am also prefer to exclusive apartment to live. I think that will be well decorated and natural environment. Miami Beach Luxury Condos are among the most sought after properties in the country.